This mod keeps the game from CTD when start showRaceMenu. You can use many hair Mods, and almost no delay. It does not effect any other mods. Elven hair and Eye pack Re-upload need! I uploaded this mod at my own accout for Update or so, sorry for moving address. Thanks to Veladarius, first uploader. Skyrim tries to load all hairs and such when you open showRaceMenu, but it is a cause of crashing. 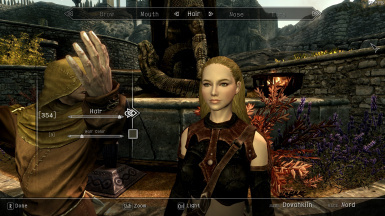 This mod removes this cache, and is that you will notice a slight lag when changing eyes, eyebrows or hair. But slight lag is better than crashing.